The mastermind behind Apple sheds his low profile and steps forward to tell his story for the first time. Before cell phones that fit in the palm of your hand and slim laptops that fit snugly into briefcases, computers were like strange, alien vending machines. They had cryptic switches, punch cards and pages of encoded output. But in 1975, a young engineering wizard named Steve Wozniak had an idea: What if you combined computer circuitry with a regular typewriter keyboard and a video screen? The result was the first true personal computer, the Apple I, a widely affordable machine that anyone could understand and figure out how to use. Wozniak's life-before and after Apple-is a "home-brew" mix of brilliant discovery and adventure, as an engineer, a concert promoter, a fifth-grade teacher, a philanthropist, and an irrepressible prankster. 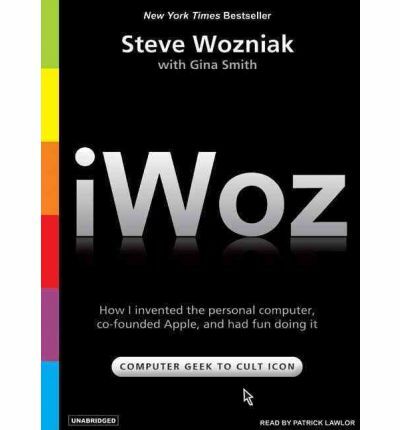 From the invention of the first personal computer to the rise of Apple as an industry giant, iWoz presents a no-holds-barred, rollicking, firsthand account of the humanist inventor who ignited the computer revolution. About the Author: Steve Wozniak has been inducted into the National Inventors Hall of Fame and has received numerous awards, including the National Medal of Technology and the Heinz Award. He lives in California. Note: the format of this mp3 audiobook is mp3-cd. This will mean it will only run on personal computers with CD-ROM or DVD drives or CD players that are furnished to play mp3-cds. It can additionally be replicated from a computer to an mp3 player like an ipod sandisk rockbox sony or similar player.